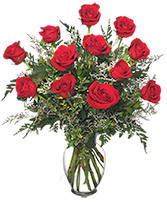 Fresh, beautiful roses are a Valentine's classic- so there's no way to go wrong here. 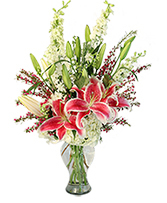 Our premium (high priced) options are come in a nicer vase, and more unique "complementary" flowers (beyond your classic baby's breath). 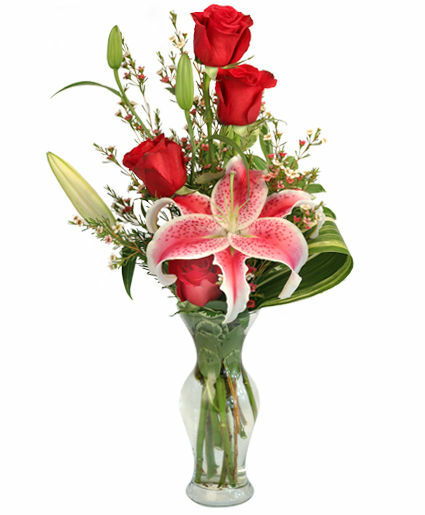 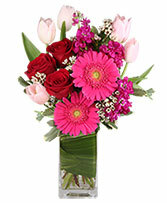 The premium price is a stunning arrangement of 1 dozen roses mixed with fragrant asiatic lilies.